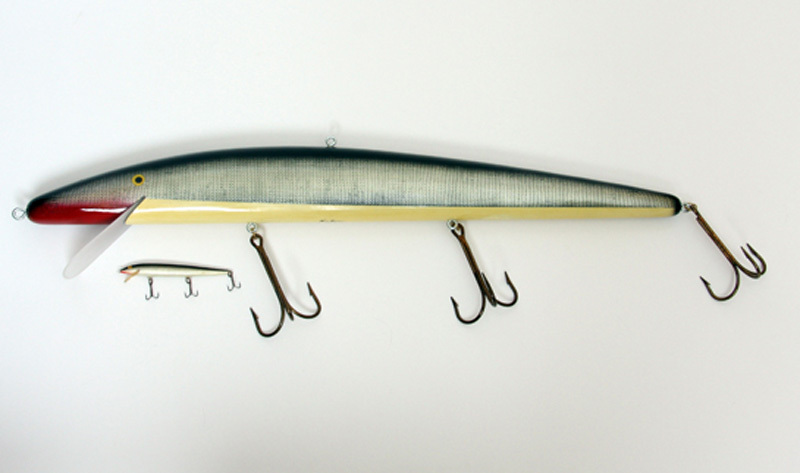 Handmade Diving Shad Minnow Lure sculpture by Ken Picou. 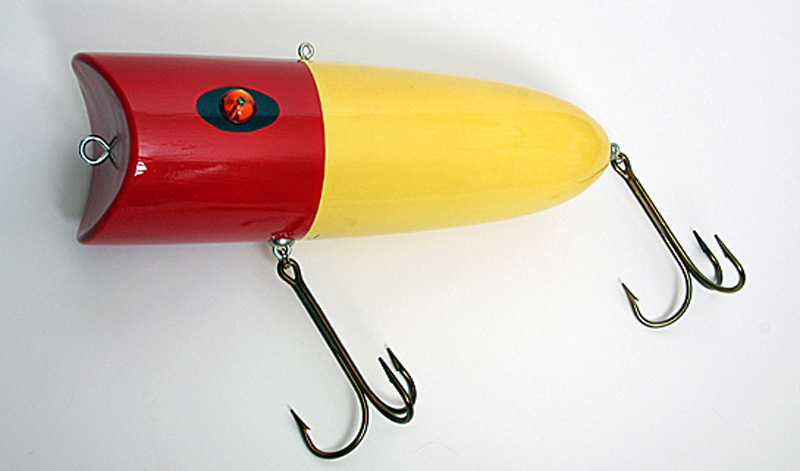 A great lure for white bass as well as just about anything else that swims. The large front lip gives an erratic motion and makes it dive deep. A favorite with Texas fishermen. This eye catching sculpture is hand crafted out of Louisiana cypress. Each sculpture has as many as 15 coats of paint. The solid steel hooks are actual fishing hooks used in the Norwegian fishing industry. These pieces always bring an instant smile to all who see them. Perfect for the home, office, camp or restaurant. 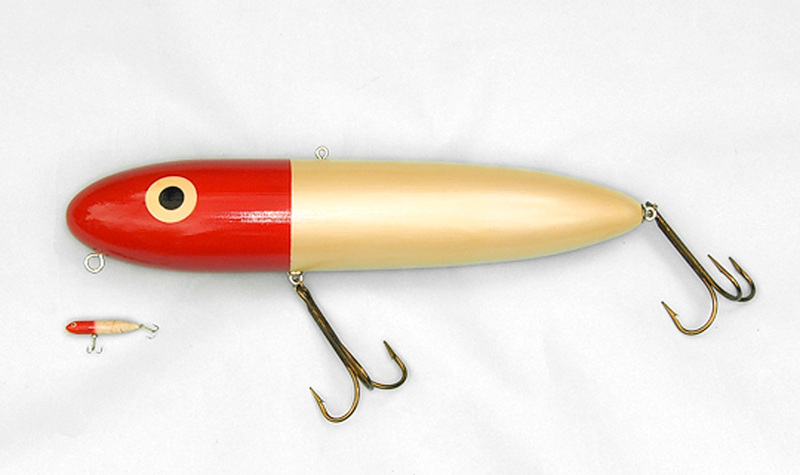 Fishermen love them as they invariably bring back fond memories of fishing with their fathers and grandfathers.